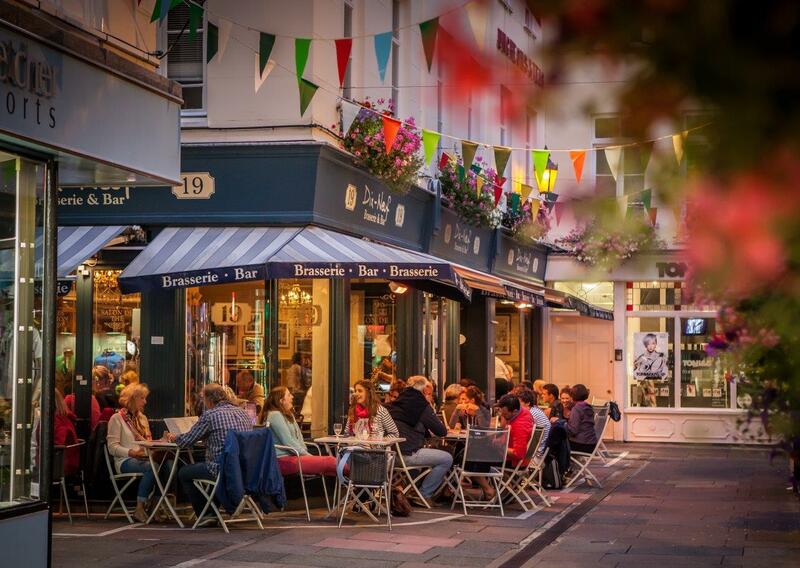 Hop over to Guernsey, the foodie Channel Island, for the best in slow-travel. 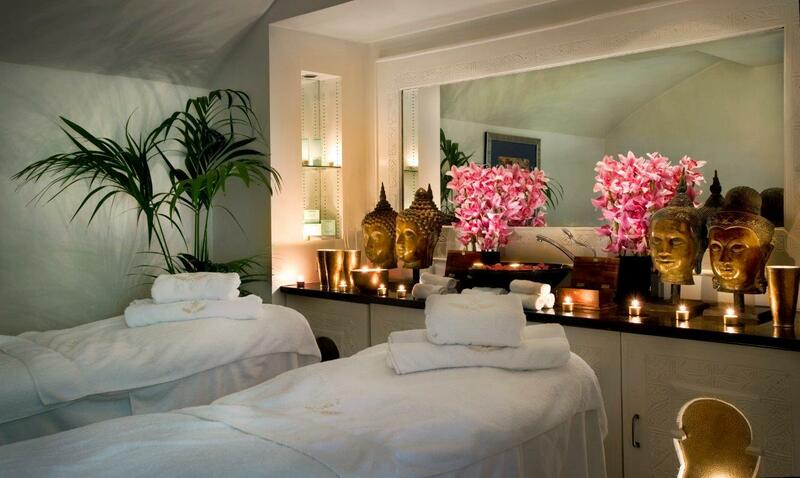 It’s perfect for a weekend escape, as well as a family break. What’s more, Guernsey offers the greatest luxuries of all; stunning nature, great food and an unhurried, relaxing pace of life. 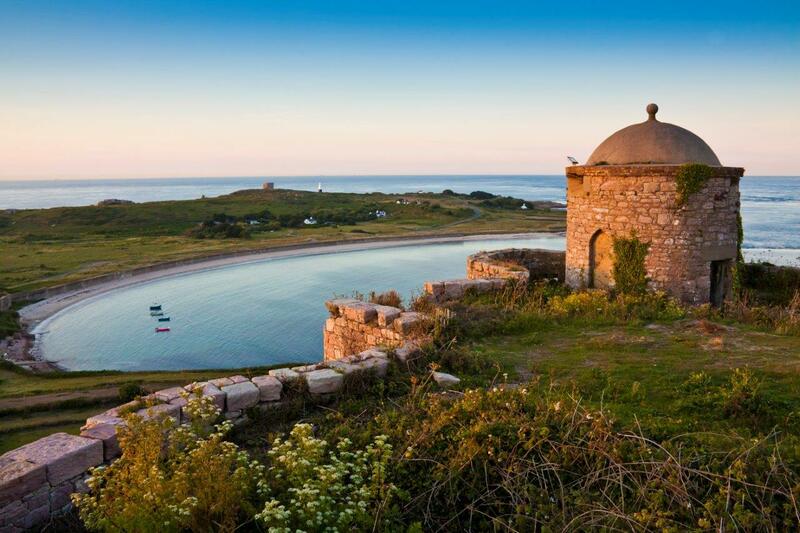 These picturesque islands, close to France, include the Bailiwick of Guernsey, which comprises Alderney, Sark, and the tiny islands of Herm and Lihou. Little wonder that this archipelago inspired an international bestseller novel, ‘The Guernsey Literary and Potato Peel Pie Society’, which was also released as a film, starring the fabulous Lily James, and directed by Mike Newell (who made Four Weddings and a Funeral). If you haven’t seen it yet, then I recommend you do, it’s on iTunes & Netflix (depending upon where you live in the world). Following my recent visit to the islands, I realised that Guernsey and Alderney have really emerged as foodie destinations. 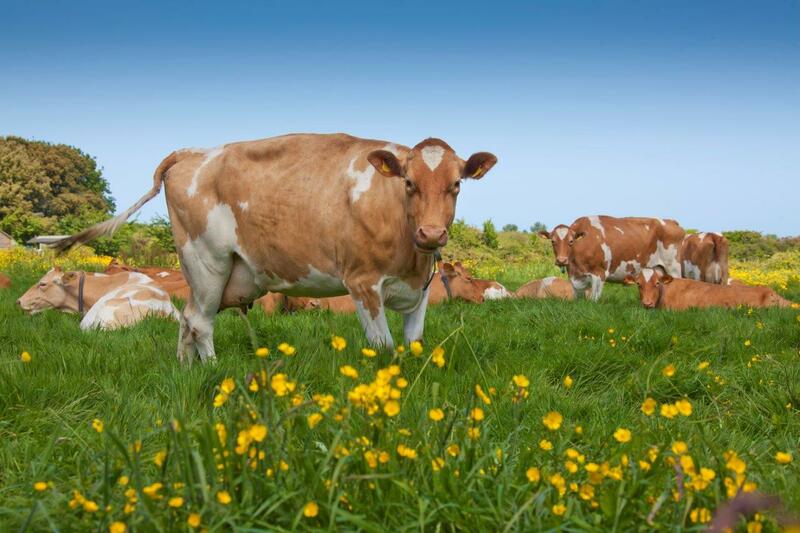 Think slow food; organic and healthy slow-reared animals; family dairy farmers; and artisan food producers making superb cheeses (my favourite was Fort Grey, a soft blue cheese, handmade with Guernsey milk by cheese maker Fenella Maddison – you just have to try it! ); traditional cider makers; and even gin distillers! …at The Old Government House Hotel. 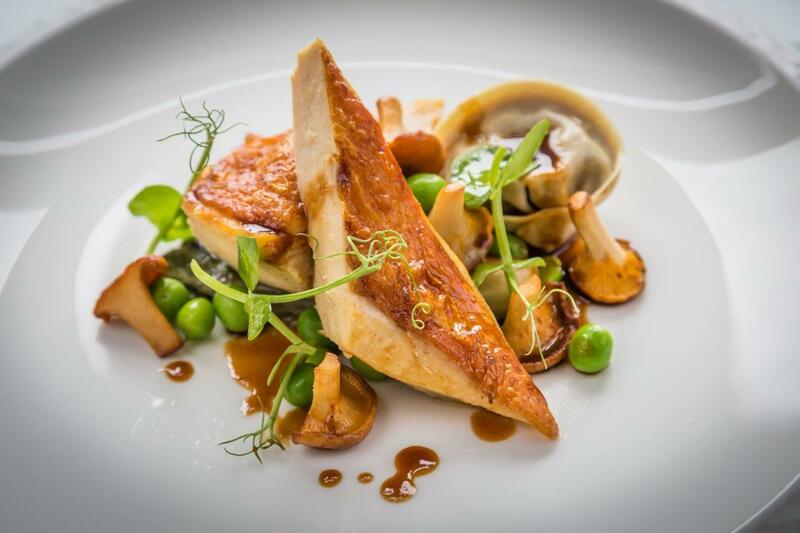 Inspired by the hit Guernsey movie this menu also showcases the flavours of the islands. The Old Government House, the island’s 5-star hotel, has created a special, themed menu reminiscent of the period depicted in the film. This is a unique way to embrace The Guernsey Literary and Potato Peel Pie Society film, enjoying the flavours of Guernsey. Expect delicious Guernsey crab, fresh-from-the-sea; exceptional roasted pork tenderloin, from local, slow-reared Oxford Sandy and Black pigs. They even serve a gourmet version of the infamous ‘potato peel pie’, prepared with Guernsey cream and bacon. The great thing about Guernsey is both so very different and yet wonderfully familiar. 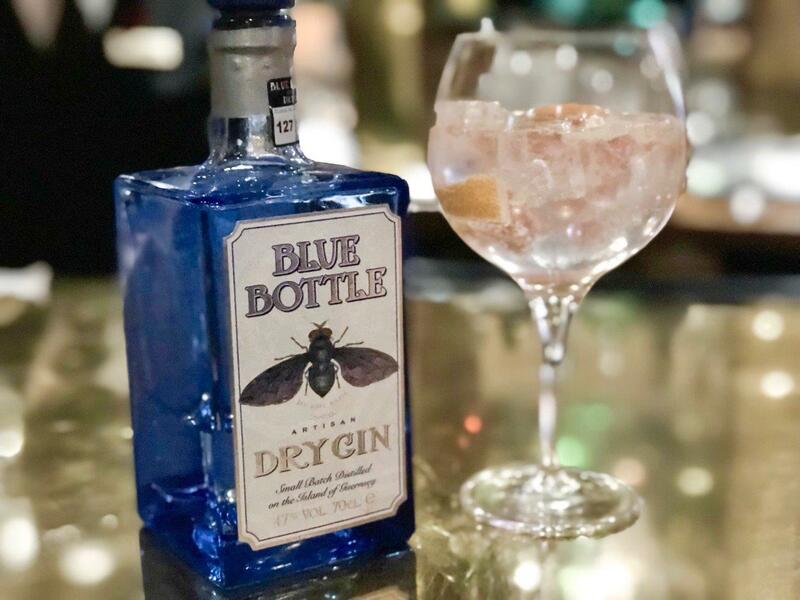 There is a splendid choice of British style pubs – friendly local bars on the seafront; stylish gastro pubs in the villages; and many quaint old pubs with rooms too. The Swann is one of the most popular. 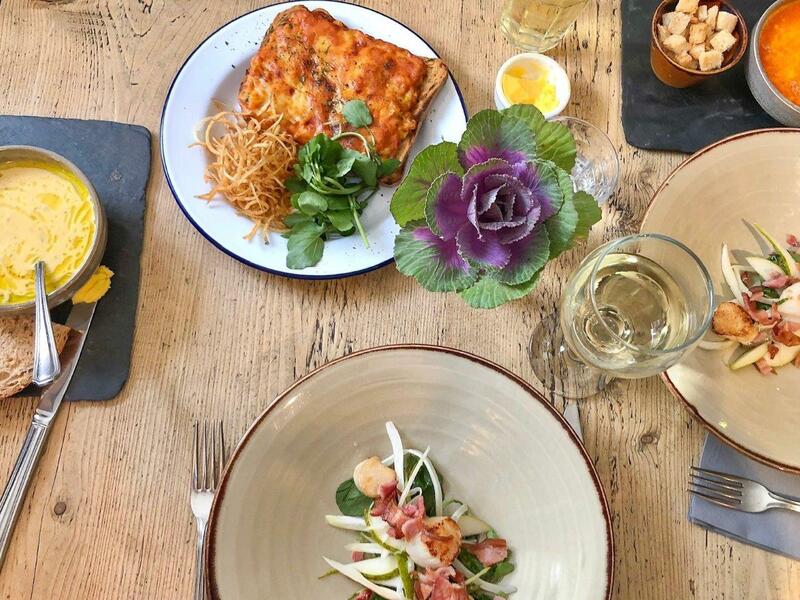 A family pub, offers home-made food, a cosy interior and plenty of atmosphere. How about a contemporary wine tasting a truly historic setting? 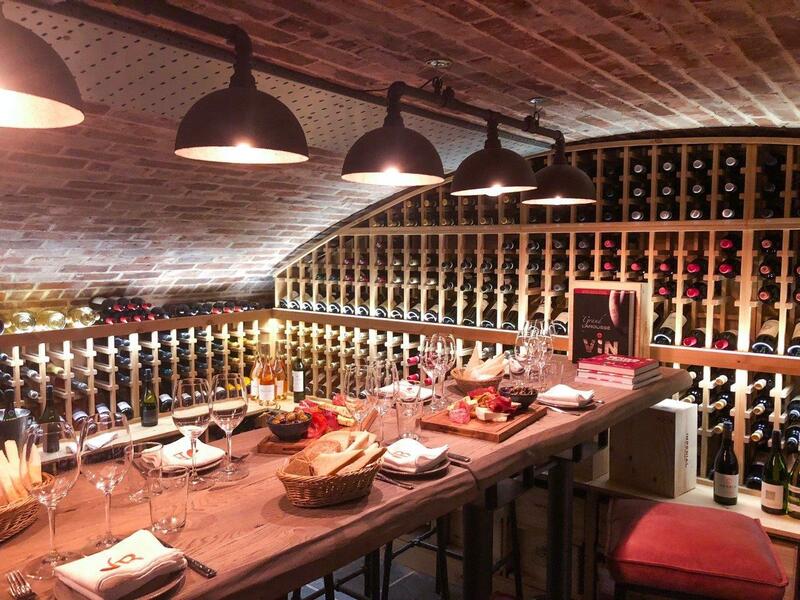 JB Parkers, the lively St Peter Port restaurant & bar has restored its wonderful cellars, creating a cosy place to enjoy international wines – many by the glass, including vintage wines. Private wine tastings are also hosted by manager David Legoupil in the adjacent tasting room in the cellar. 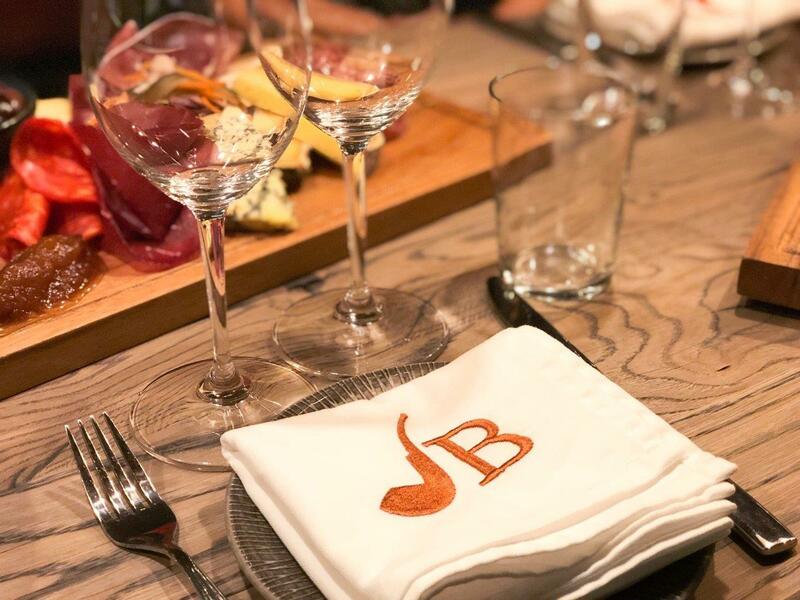 It’s a very relaxed and enjoyable way to get to know some different wines, and there are sharing boards of tasty cheeses and cured meats too. Upstairs, on the main ground floor the restaurant is elegantly designed with open kitchen. 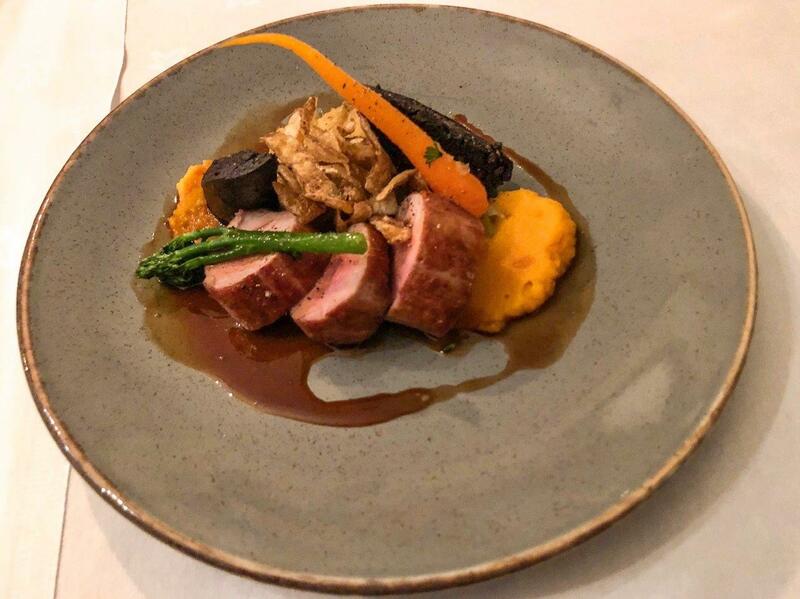 The menu includes classic bistro food, hearty food from the charcoal grill as local Guernsey specialities like seafood, fish, and pork. This traditional free house is the place o go for live music, including folk, classical, and modern. There’s also an open mic night each week. After dinner we headed to the upstairs cocktail bar at The Red House Grill. What a great atmosphere! There as a DJ, a friendly, good-spirited crowd, and excellent cocktails. The restaurant offers a grill-based menu, paired with international wines. If you visit at the weekend, consider the Brunch. 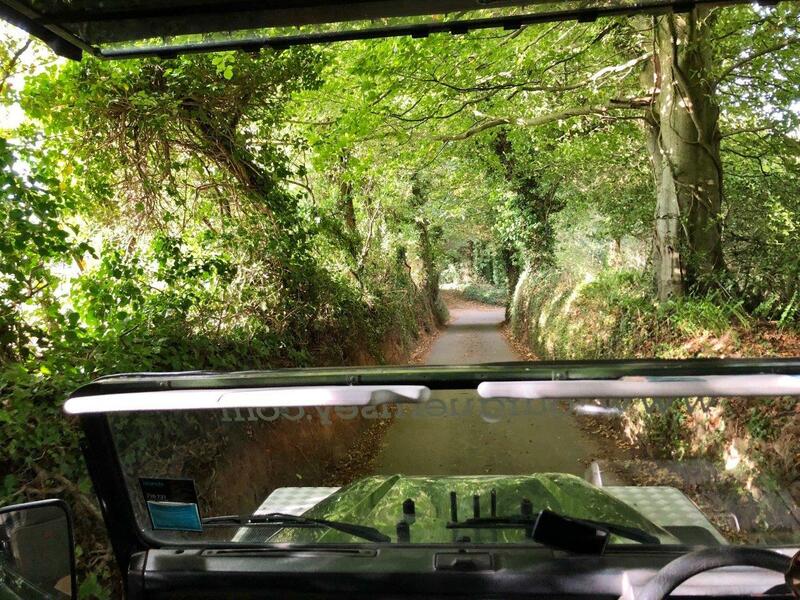 One of the great pleasures of a stay in Guernsey is the chance to island hop within the Bailiwick. 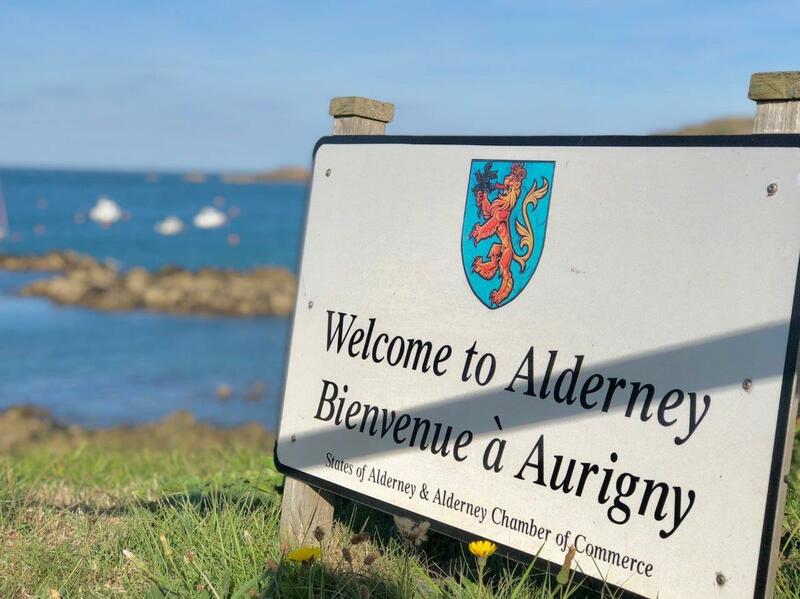 A visit to Alderney is a must! A favourite during my trip to Alderney was the rustic chic The Georgian House. This historic Georgian townhouse and garden on the high street of St Anne, has a welcoming pub, and the restaurant, where we indulged in a really tasty lunch. If you are looking for somewhere to stay, the house also has four en suite rooms. 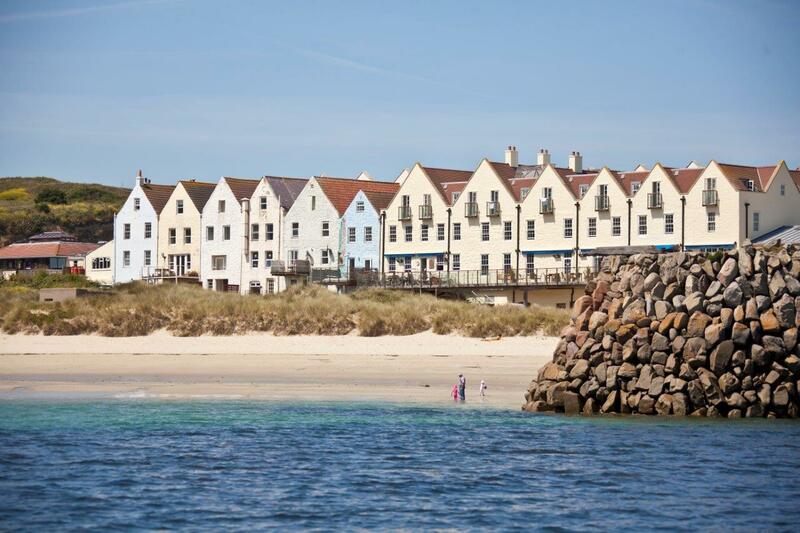 Alderney and Guernsey offer a wealth of seafood and fish dining experiences, with a sophisticated French influence, including Le Pesked Restaurant. This traditional seaside café has won awards for its Guernsey ice-cream cones. Do you need another excuse to go? The Bailiwick of Guernsey have really done a great job a sharing with visitors the impressive choice of activities on offer. In the past I imagine the islands were popular for traditional family holidays – think safe, clean beaches and coves, family-friendly hotels and restaurants. People have loved coming here to enjoy the remarkable wildlife and nature – think birding and hiking. 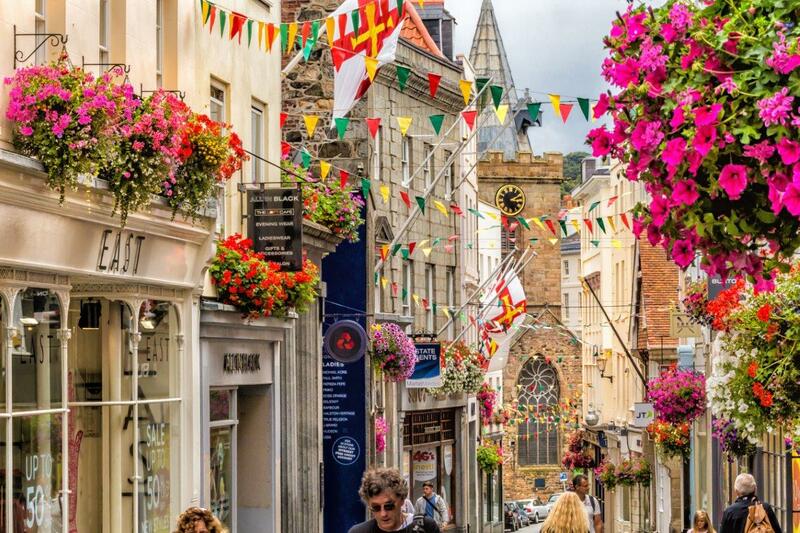 Yet now the diversity in visitors is reflected in the variety of activities, from adrenalin-pumping fun on land and out on the sea; leisurely biking; historical tours taking in sites from the occupation; to lots of Guernsey Literary Society movie themes tours and experiences. Andy Taylor was our guide for the day and it was such fun. 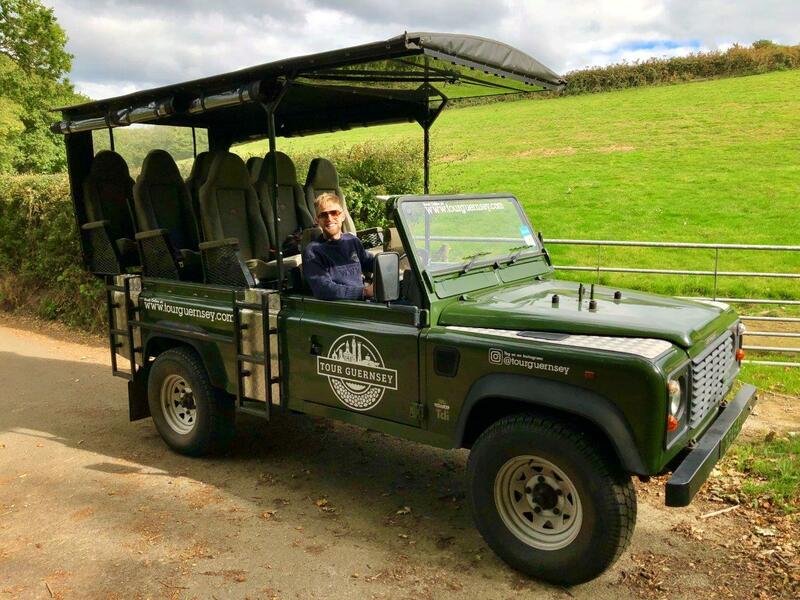 He has an impressive safari-style Land Rover Defender, so you get to have a truly privileged perspective as you drive through the lanes. There are a number of unique island experiences. Including of course a ‘Potato Peel Pie’ tour – but we opted for the ‘Real Guernsey Tour’ and it was excellent. 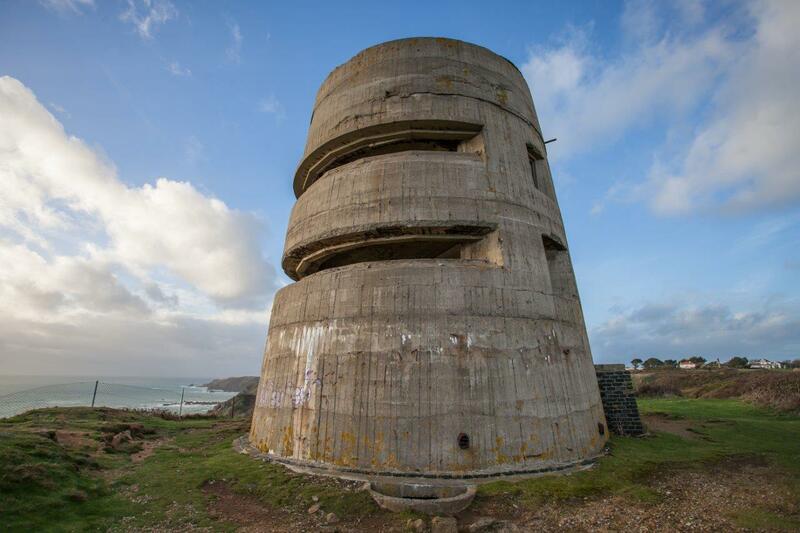 For history geeks, the islands capture a piece of unique history – when the Channel Islands were occupied by the Germans during WWII. This was the only time that British territory was occupied during the war. This museum endeavours to capture the period, and give context to the remarkable Nazi fortifications found around the islands. 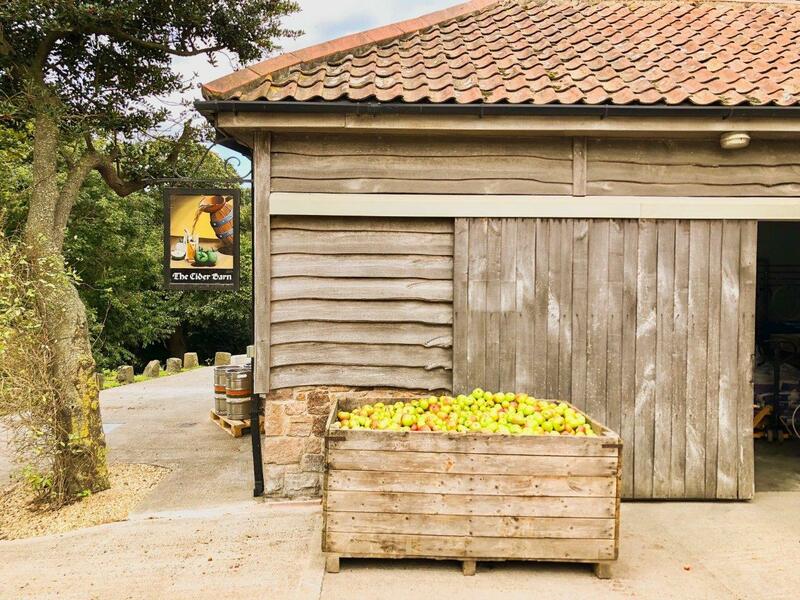 There is in fact a heritage of cider making on Guernsey, and Rocquette Cider continues this with its artsisan approach at its farm in the Fauxquets Valley. You can visit the orchards and indulge in a tastings. Its more entertaining than it sounds! 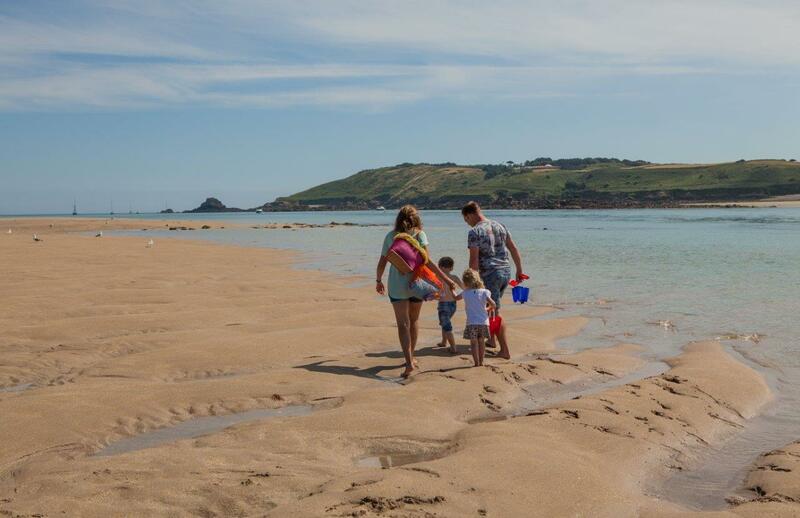 Phil Le Poidevin and his partner have this family business offering fun and adventures on land and sea. They promise kayaking and paddleboard, and cycle hire. We opted for the bikes, meandering through the country lanes and along the coastal paths. 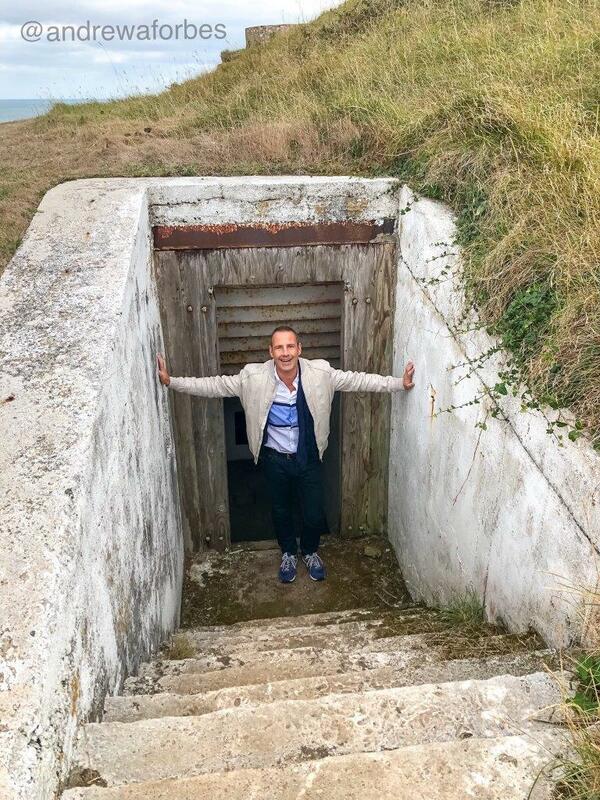 It was also a cool way to reach some of the extraordinary war-time bunkers and look out towers. For those of you that are drawn to a destination for nature and wildlife then the islands will certainly appeal. I love to hike and there are so many coastal trails to choose from. Whilst on Alderney, take the opportunity to meet John Horton, Alderney’s Island Bird Observatory Warden. 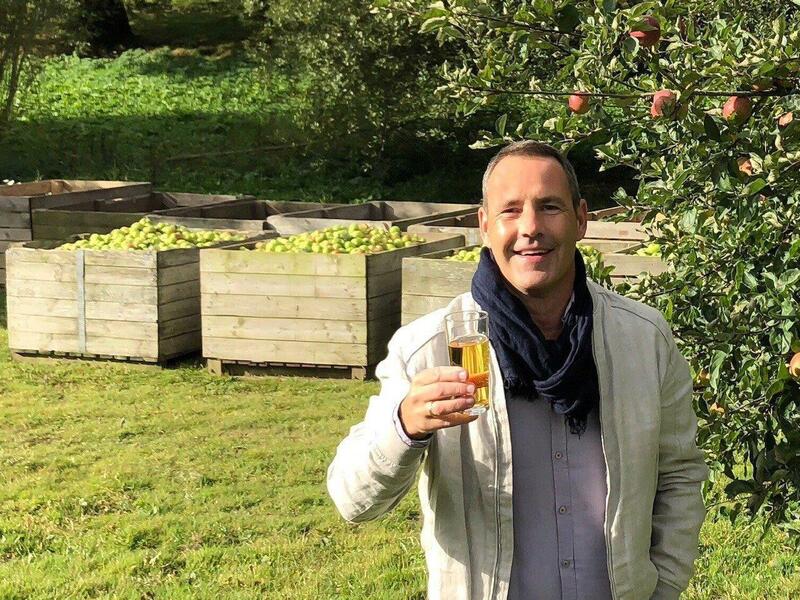 He offers two-hour round-the-island seasonal tours. Alderney is a real delight to explore. The main town of St Anne is charming. If you contact the local Visitor Information Centre, you can pre-book a walking tour. It’s fascinating; and the place is lovely. 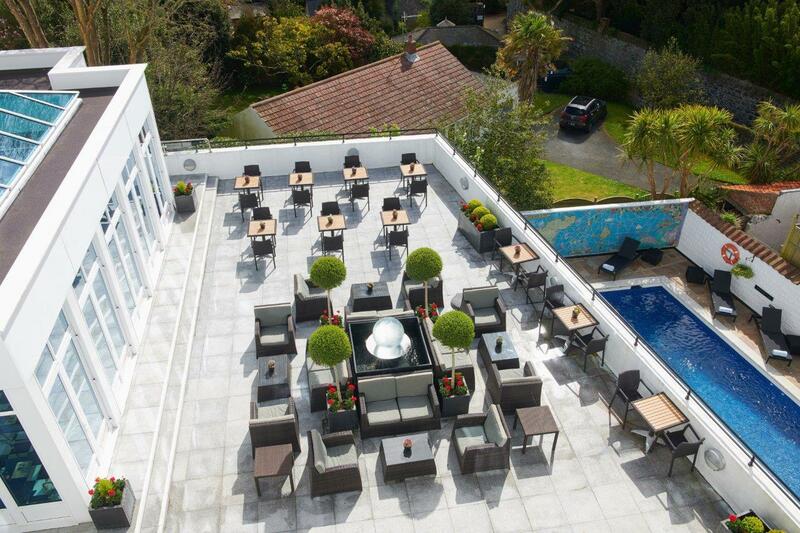 The swankiest place on Guernsey is the classic, 5-star hotel, Old Government House & Spa. Full of character, history and decadent décor. It was the Governor’s residence for the Bailiwick of Guernsey, so the property has always been at the heart of the island’s community. Now it’s a grand Victorian mansion hotel with a spa. 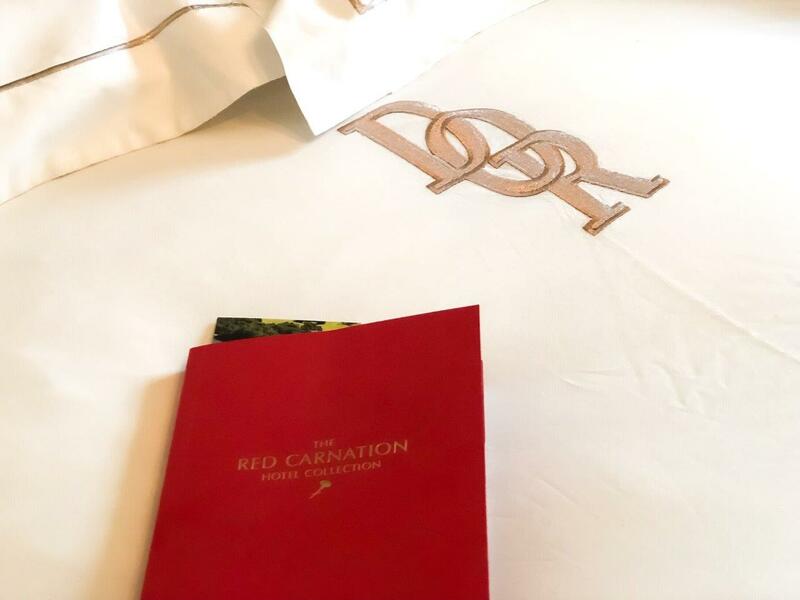 The guest rooms and suites are elegant, with a touch of decadence. How about an authentic Afternoon Tea? 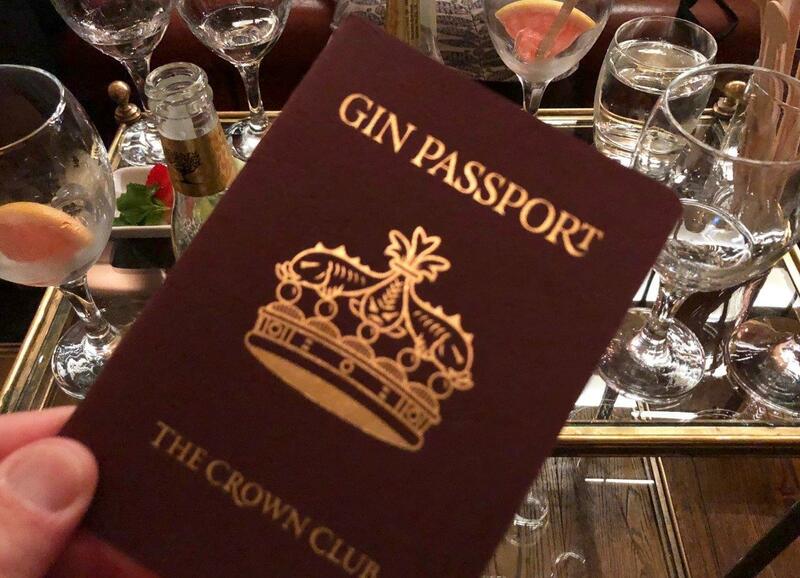 The Crown Club is a superb bar – it really is the place to go for cocktails and of course island gins. Book a sea-facing room to enjoy a magnificent island sunset. Hotel General Manager Norbert Stump has a real skill at making guests feel right at home. 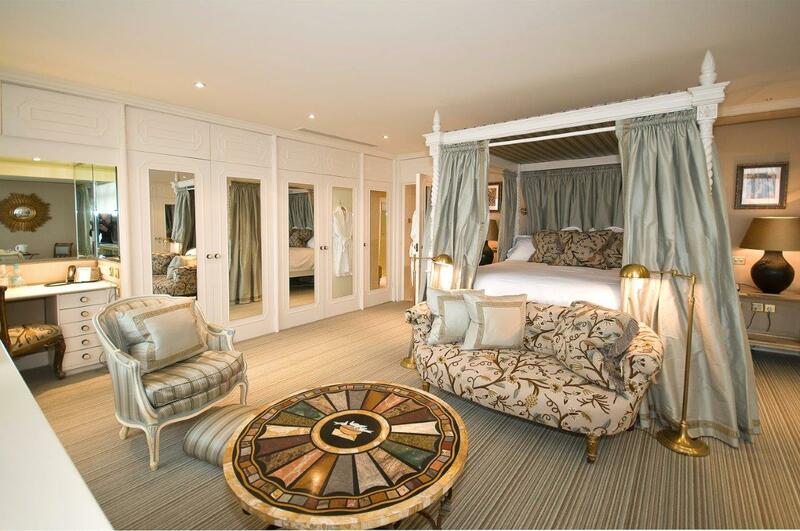 This sister property to the Old Government House and Spa captures the traditional charm of St Peter Port, Guernsey. 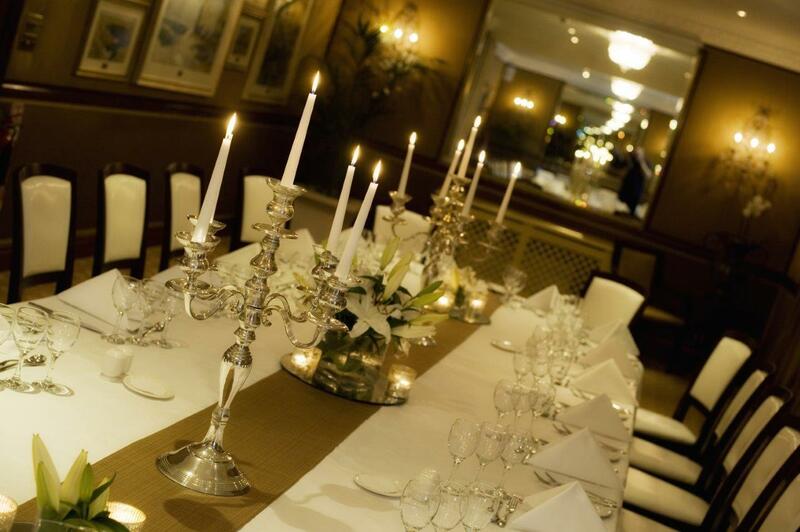 The Leopard Restaurant a large outdoor terrace, just perfect for those warm summer evenings. 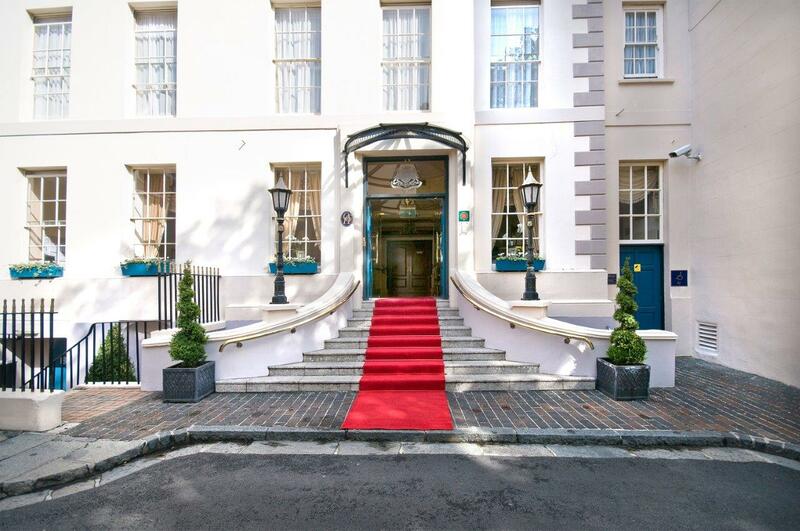 Double rooms from £250 per night, including full English breakfast. I was really impressed by this boutique hotel on Alderney which overlooks just the most picturesque bay, with sandy beach and wild dunes. 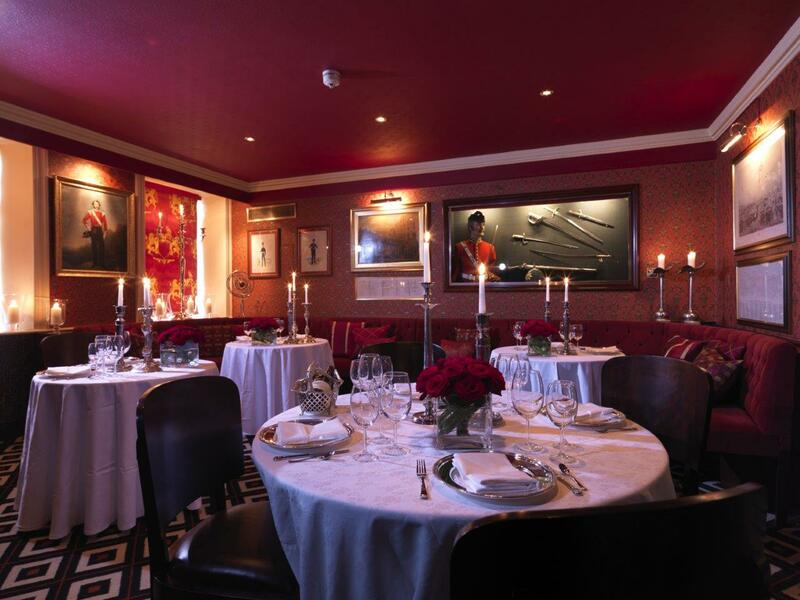 The rooms are contemporary – I particularly liked the ones in the eves, very cosy. Facilities even include a private cinema for guests. But you can find me in the wine bar! The brasserie is open for lunch and dinner. Aurigny offers flights from London Gatwick to Guernsey from £90 per person. 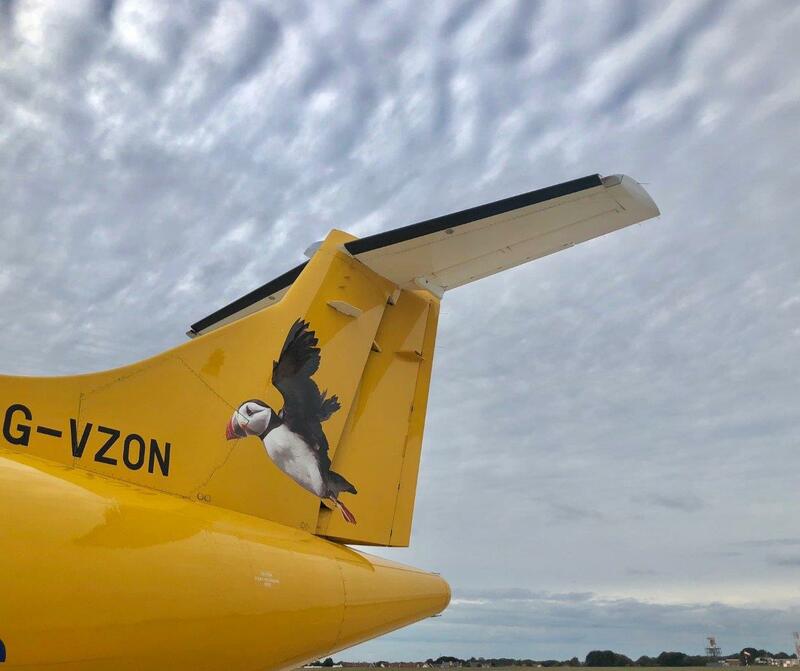 (Aurigny also offers direct flights from UK regional airports). 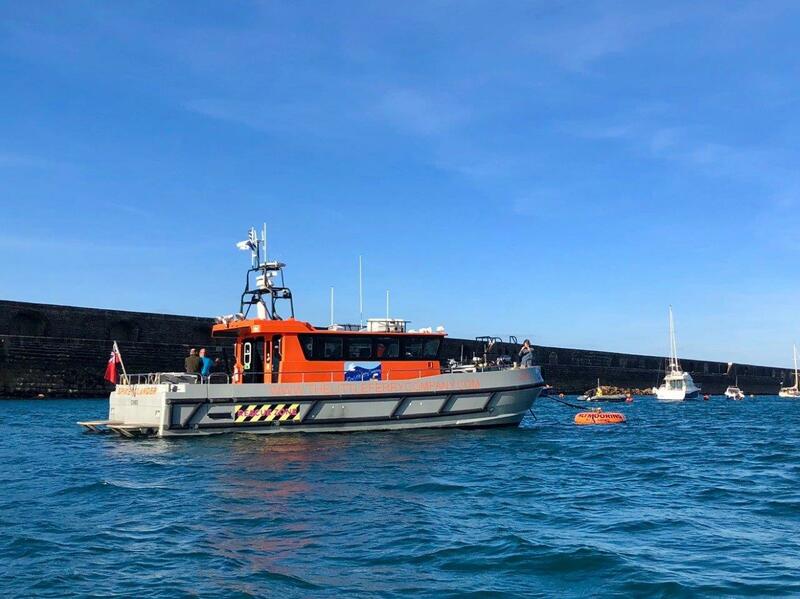 The Little Ferry Company has a cute yet very robust little boat that offers seasonal day return service to Alderney from £40 per person. This guide to the Guernsey and Alderney is just scratching the surface really. 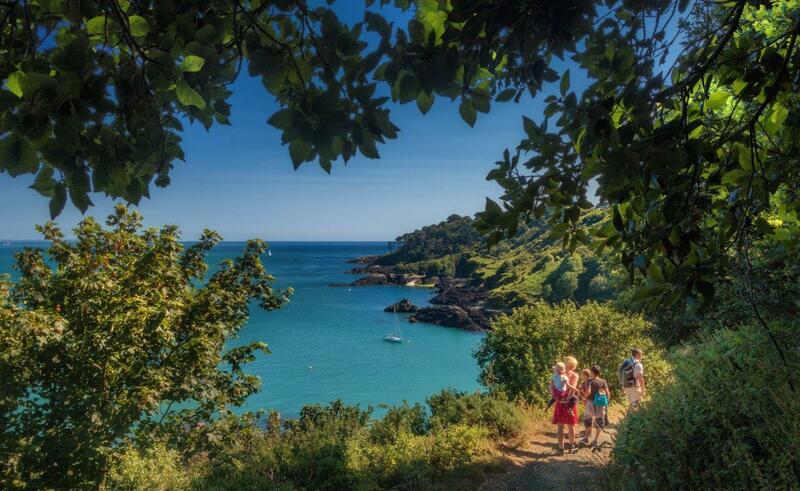 For in-depth information to help plan your holiday, take a look at Visit Guernsey online.